A video of a 2-year-old girl from Florida has the public raising their eyebrows. Initially, it showed the toddler walking barefoot towards the police as if she was still learning to stand and walk without anyone helping her. It also depicted the Tallahassee Police Department in a bad light because it looked like they were holding and aiming their guns up to an innocent little girl. But another video coming from the body camera of a police officer told a different story. It seemed the child was actually raising up her hands and walking towards the police to surrender just as her father was getting arrested for stealing from a store. Police officers in Tallahassee received a report of the theft on a Thursday afternoon. 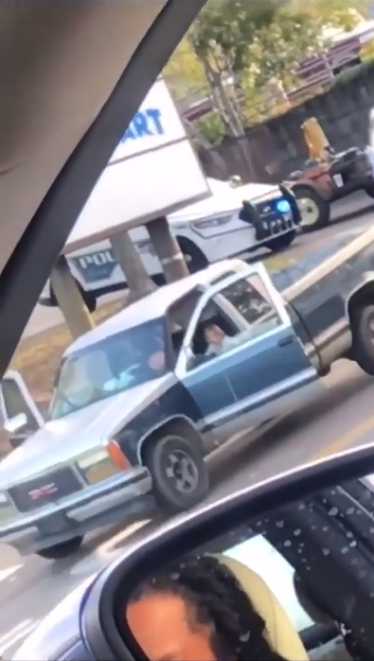 They pulled over a truck on the suspicion that the armed robber was driving it. As the police were making the arrest, the dad could be heard on the body camera video telling them that he’s got his children with him. When the police surveyed the truck, they found two kids, a one-year-old boy and a 2-year-old girl. 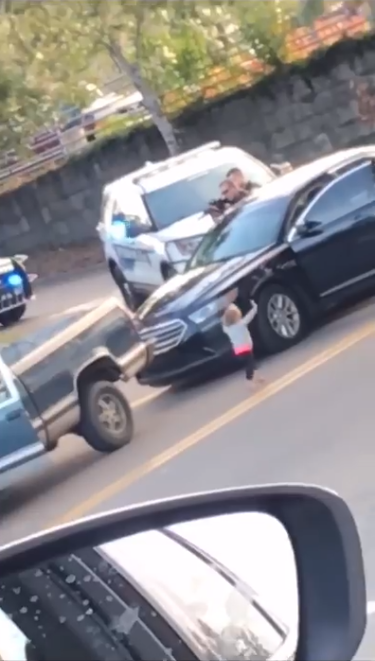 During the arrest, however, the little girl got down and walked out of the truck to go to the police and she had her hands up the whole time. 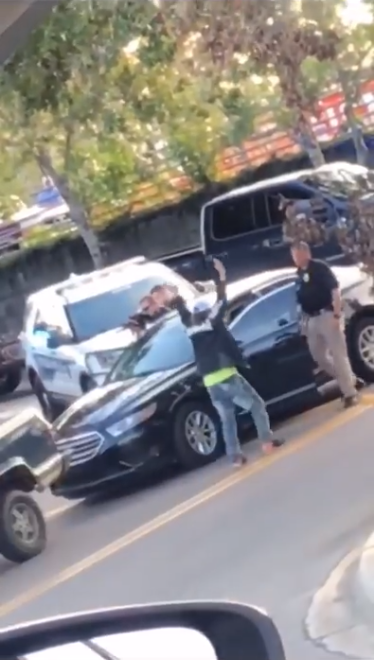 As traffic stopped because of the arrest, passers-by were also able to record the toddler walking with her hands up. A few of the videos from the passers-by went viral. One of it showed the police aiming a gun at the little girl until she stood next to an officer. Netizens were naturally upset by the footage because it depicted the police officers as uncaring and threatening the life of the little girl. But the Tallahassee police released another video showing a different angle. 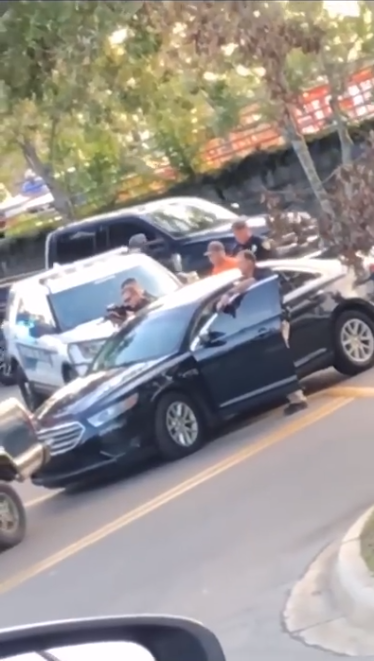 Police Chief Michael DeLeo confirmed in a post on Facebook that they did not expect the little girl would climb out of the truck and walk towards one of the cops. In the said body camera video, an officer could be heard comforting the child by saying she’s going to be OK. The cop also told the 2-year-old that she can put her hands down because she’s fine and she’s not being arrested. DeLeo said in his statement that his men showed compassion for the child during a very tense situation. The police chief also said that he’s proud of the way his men did their work. Meanwhile, the little girl’s brother remained inside the truck as he was strapped in the car seat. Beside him was a gun but police said that while it looked real, the weapon was just a pellet gun. The children’s mother later took them home after the police filed charges against the dad and another man. Chad M. Bom and his companion James W. McMullen were booked for theft and shoplifting. Employees of a Bealls Outlet near the Capital Circle Northeast said that the two men had guns on their waistband while they were robbing the place.